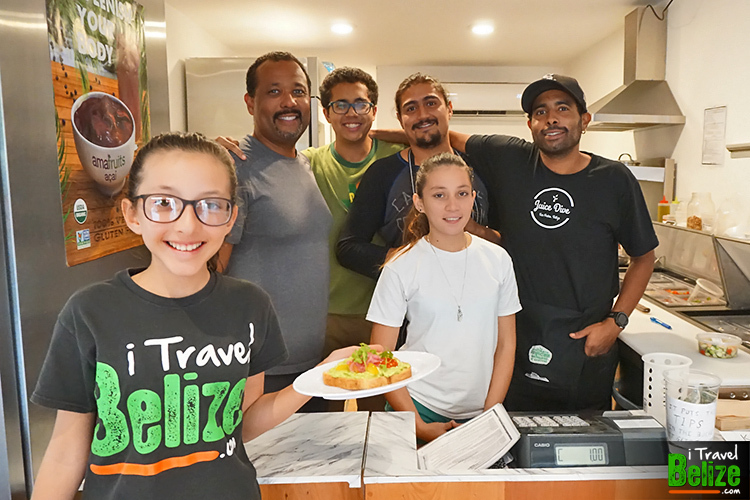 A lot of people are excited about this new joint in San Pedro, Belize, but we have never seen Madi this energized about eating out. 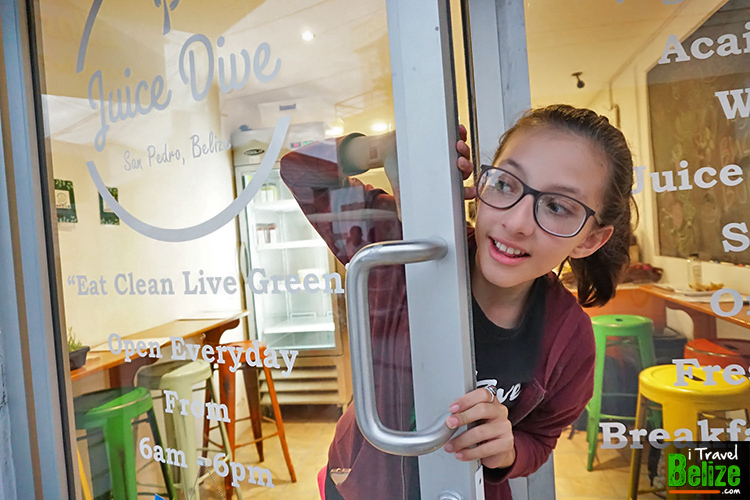 She even broke out with a happy dance at the Juice Dive; it’s the new cold press juicery and restaurant on Ambergris Caye. The buzz around town has not stopped since they opened at the end of December last year. Why was Madi so excited? 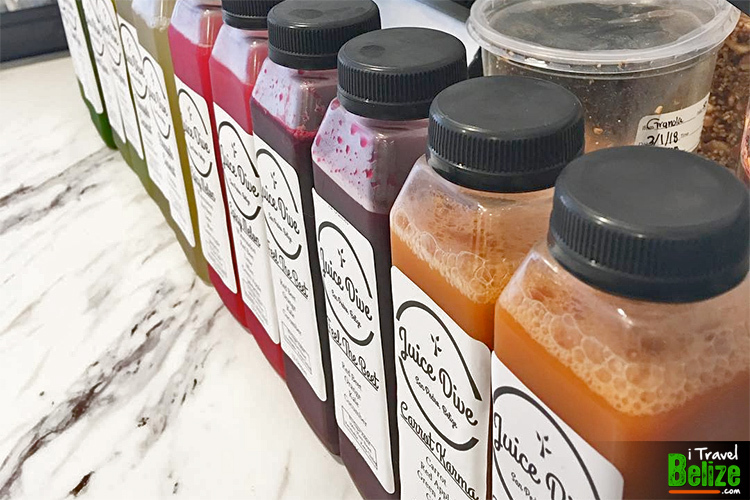 Juice Dive is the first cold pressed juicery in Belize, serving fresh pure fruit juice – no added water, sugar or anything else. The health benefits of cold pressed juices are well documented and they are delicious. 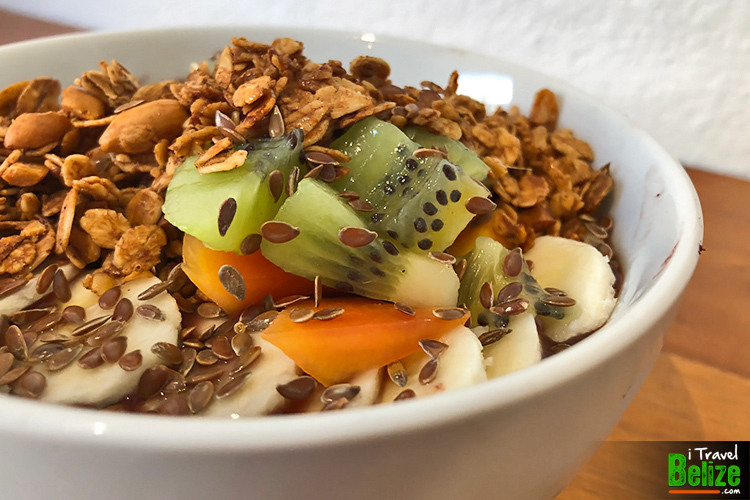 I am eagerly looking forward to their Acai Bowls for breakfast on a regular basis. They are delicious and something new to Belize; I have not seen anyone else carry it in their menu. They are packed with vitamins, antioxidants, minerals…a perfect nutritious breakfast. 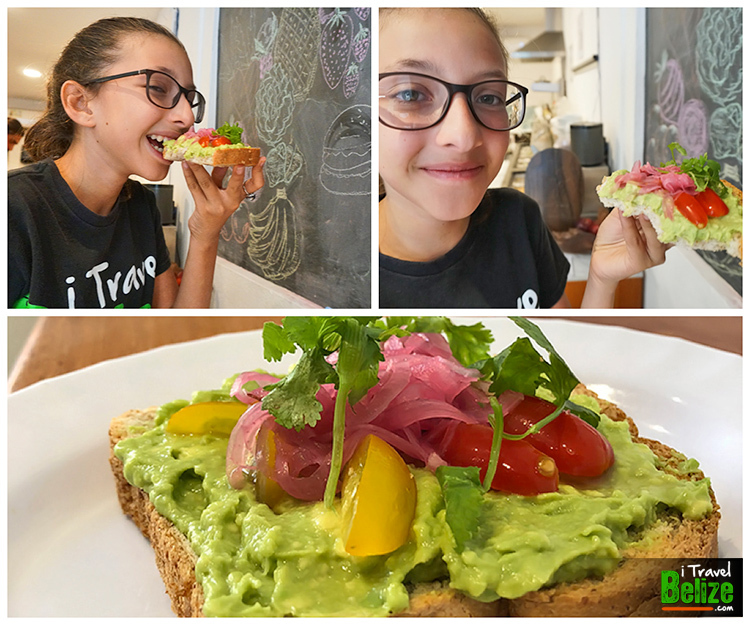 Did we mention they have AVOCADO TOAST!? 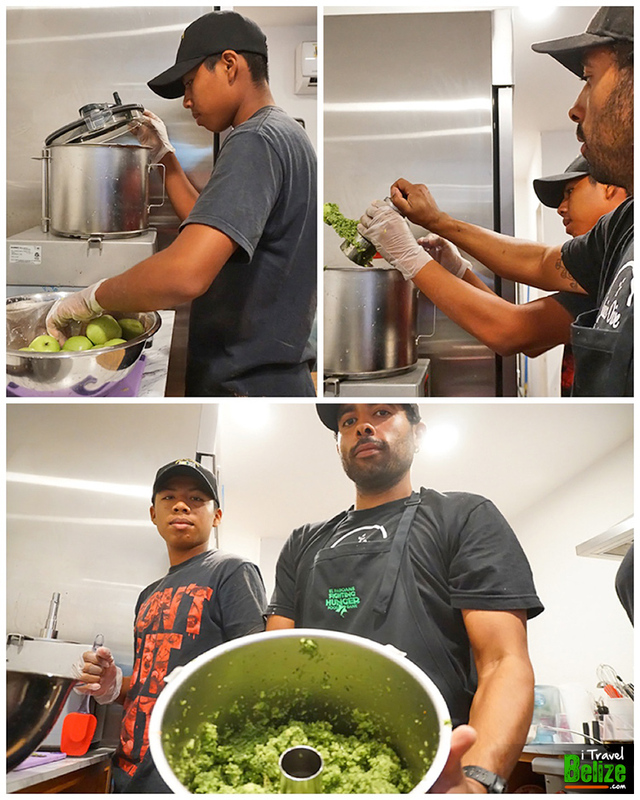 A lot of people are ‘buzzin’ about the Juice Dive – offering healthy breakfast and lunch options, including wraps, salads and most of their options can be adapted as a vegetarian/vegan option. This is reason why our entire family was even more excited about these guys opening shop in San Pedro. The Juice Dive guys are awesome! 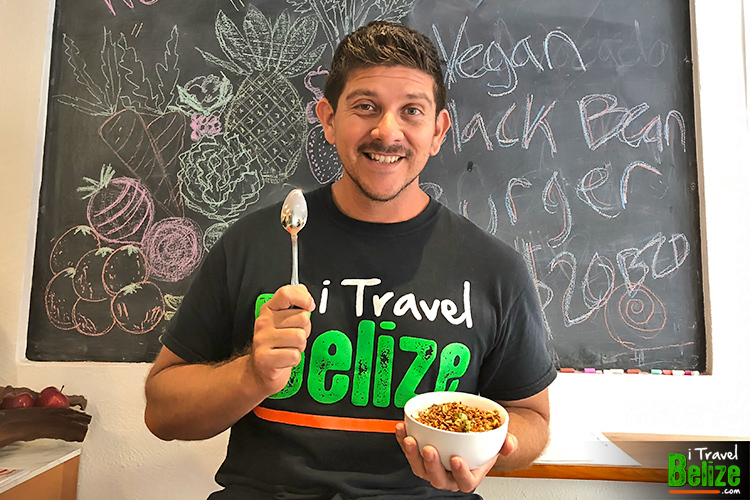 Renato, Justin, Alex Solis are super friendly and are on a mission to provide residents and visitors to Ambergris Caye with the opportunity to eat and live well. 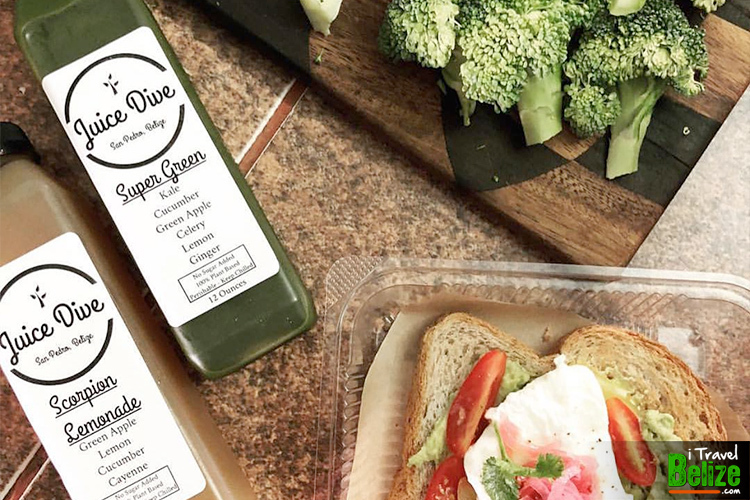 Juice Dive hopes that they can inspire you to move more, eat clean and take care of the world around you. We sure think they have a great thing going on; you should check it out. Delicious freshly pressed fruit juice cocktails – no added water or sugar! OH! 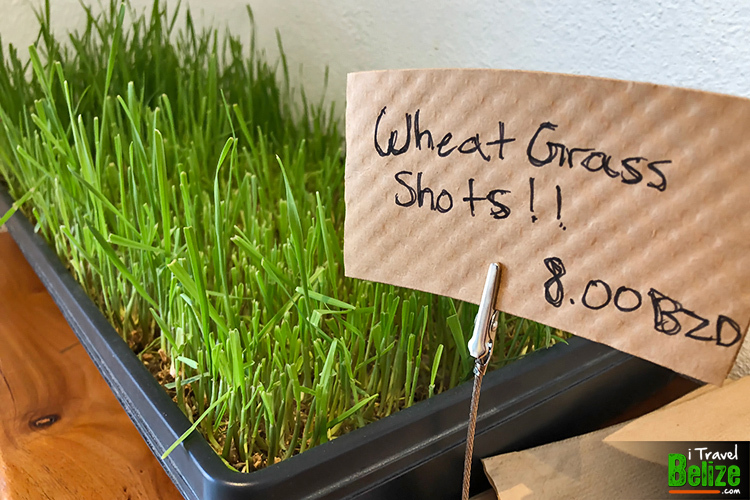 And people are going wild about the Juice Dive’s Cleanse. It’s a one, five or seven day all-juice cleanse with seven juices to drink per day. Another way to stay healthy and rid the body of toxins. Go visit them to learn more about it. 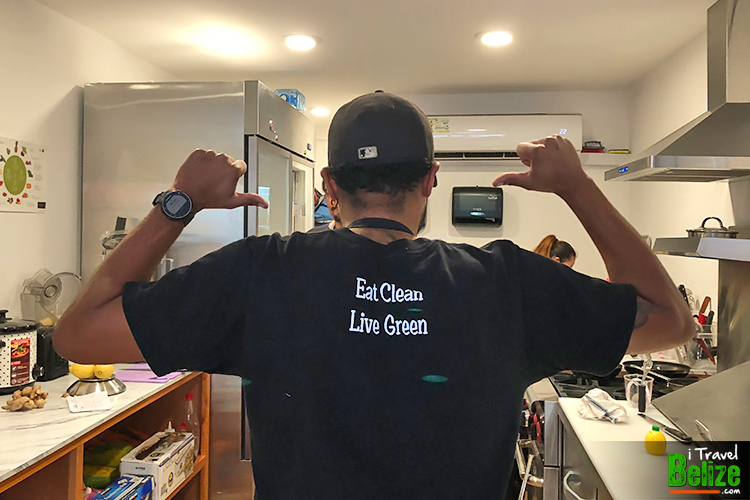 Eat Clean, Live Green is the Juice Dive Motto. 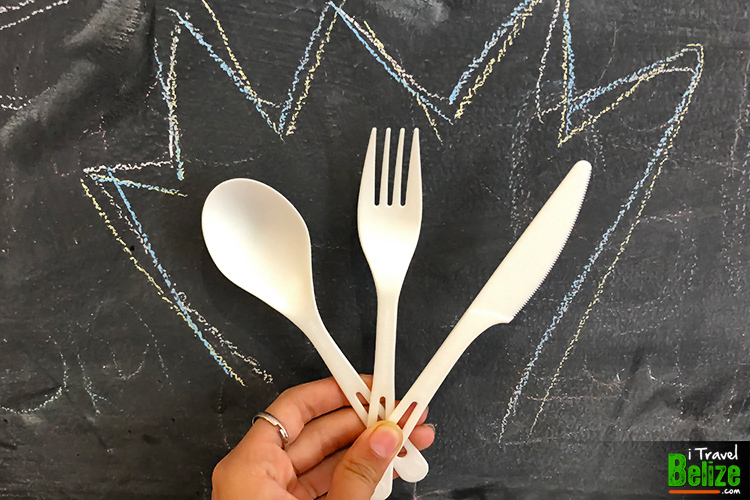 Madi totally loves that they use biodegradable products like these cool utensils made from corn!! 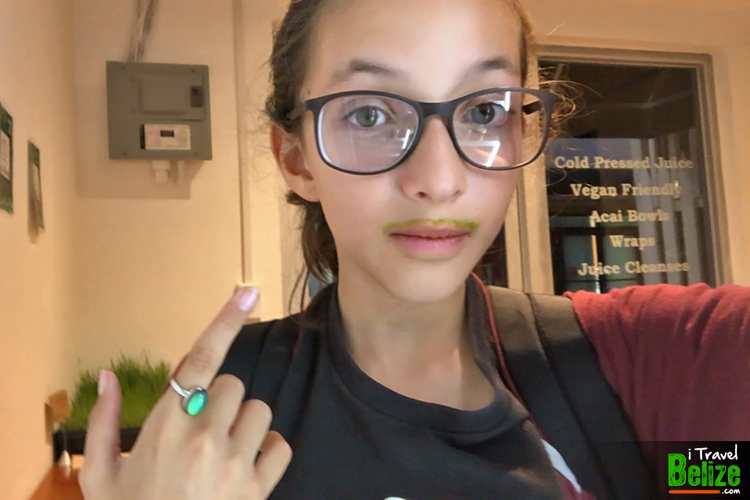 No milk mustache fro Madi, Green is cooler! Going there in April. Can’t wait to try it! Where are they located? They are located on middle street across from Atlantic Bank. AWESOME!! I can’t wait to come try some avocado toast and a delicious juice cocktail!! do u serve them frozen too?